We offer year-round Therapeutic Social Skills Programs for children, adolescents and young adults ages 5-8, 9-11, 12-15, and 16-adult. Are your child’s outbursts, tantrums, and/or other behaviors impacting your family life? 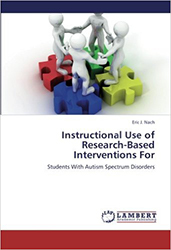 We provide executive functioning groups for students that would benefit. Academic and Behavioral consulting for students and families. Helping our young adults become happy, productive members of society. Our Student Camp Program is designed for children and teens ages 5-14 who are “mainstreamed” and may have “special needs”. The Personal Learning Scholarship Accounts (PLSA) program helps parents individualize the educational plans for their children with certain special needs. 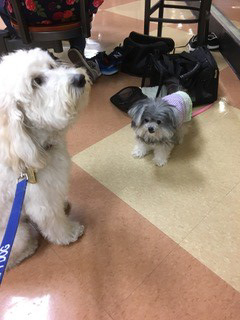 The Support for Students Growth Center, the first facility of its type in South Florida, is pleased to announce the rewarding of the status of; CERTIFIED THERAPY DOG to DAISY “DAWG” NACH. Daisy is an “English Teddybear Golden Doodle”. She was born on April 11, 2015 and came to live with Dr. Nach and his wife Paula on July 1, 2015. 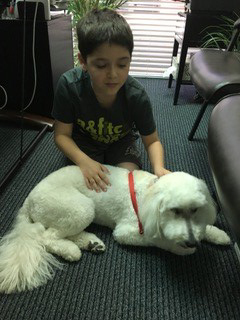 Daisy is our “junior partner” at the Support for Students Growth Center located in Boca Raton, FL. 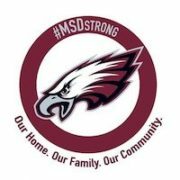 At their center Dr. Nach and his team provide social, behavioral, and academic services to children, teens, young adults and their families. Daisy’s primary job responsibilities include; greeter, spreading love and affection as she searches out and reduces anxiety, frustration, worry, and fear in our clients and their families. She spreads her time between greeting clients, attending and participating in the many groups and camps we conduct, and being a “junior counselor” as Dr. Nach provides individual and family counseling in his and Daisy’s office. We hope you come by and get your own “doodle hug” from Daisy. We are experts is addressing the academic, social, and behavioral development of your children, teens, and young adults with “special needs”. 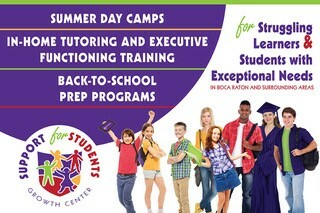 We provide Therapeutic Social Skills Groups, Executive Functioning Programs, Educational Consulting, High School, College and Career Readiness Program, Behavior Modification Programs, and Academic Coaching in our high-tech Boca Raton office. Additionally we offer Individual and Family Coaching in our Boca Raton office. We are a team of Ph.D. and Master level educators, counselors and therapists who are experts in the field of: learning disabilities, ADHD, autism spectrum disorders including Asperger’s Syndrome and PDD-NOS, anxiety, depression, NVLD, OCD, ODD and mood disorders. We strive to help facilitate positive life changes in children and families in either group or individual settings. We are trained to identify and implement methods to enhance overall performance in the home, community, and school environments by targeting specific skills necessary to help navigate the social world we live in. Is this familiar? If so, check into our Executive Functioning programs! Does your child struggle with organizing their thoughts? Does your child have difficulties with managing their time? Is doing HW a battle in your home? Are group activities a source of difficulty for your student? Does your child experience “meltdowns” over doing schoolwork? Is this familiar? If so, please check into our Behavior Modification programs! Please be aware that the Support for Students Growth Center offers multidisciplinary interventions that do not fit standard medical procedure codes; therefore, our services are not reimbursable by medical insurers. Have You Read Dr. Nach’s Book?